Chicco Next to Me Cot, Medela Swing and 4Moms MamaRoo – My Best Baby Buys | Call Me Mummy!! My goodness, where has this cot been all my life! I truly wish I had bought it the 1st time! All those times I kept waking up and walking to Aj’s cot, grumbling and all would have been cut in half! The Chicco cot can be attached to the bed and includes a drop down side so it looks like it’s an attachment of one’s bed, co-sleeping without the hassle. So now when Jr wakes up for a feed in the night I just turn over, lift him into my arms and feed him, easy peasy! It has been a great purchase since Jr was born and should see us through till about his fifth/sixth month when he should be moving in with his sister in her old cot. He is already filling it out so dont think it’ll last another 3 months though! Sadly, a similar cot (NCT Bednest) was in the news due to a baby that suffocated in it. Based on that we’ve decided to lift up the side for safety reasons. So if you do decide to use the Chicco cot, please use it correctly for peace of mind…. Now this was hubby’s purchase and I’m so glad he bought it! Once again, we tried baby swings with Aj and they were a capital fail! She would sit in it for about 10-15mins before she started screaming, talk less of falling asleep in it! However, a friend of mine posted a video of his son on the MamaRoo even before we had Jr and it looked awesome and he swore by it. I thought it looked really cool and showed it to hubby and forgot about it. After hubby went back to work and grandma left he figured I needed something to help with ‘rocking’ Jr to sleep and generally occupy him so he got this and we were blown away! Jr fell asleep in it like a charm and he loves it till date! The rocking has 5 different settings including ‘Car ride’ which is our current favourite. It also has white noise but I feel the sound isn’t loud enough so I still use my phone to back it up. Jr can sleep in this for 2-3 hours at a stretch and I’ve never heard any mother complain about that! Its weight limit is 25 pounds so we’ll probably be done with it around the 6-7 months mark when he starts sitting up unaided. Although I cringed at the prices of some of these thing my consolation is that I will be making good use of Ebay and reselling after they’ve served their purpose! At least I’ll make some of my money back, right..? What were/are some of your best baby products which you would recommend? Have a lovely and sunny day! Lucky Junior!!! He sure came at the right time…. I really enjoyed using the Medela Swing pump. My cousin swore by it and got it for me. I believe it was the reason I was able to get the little breast milk I could for a while. You could also insert batteries and pump on the go. 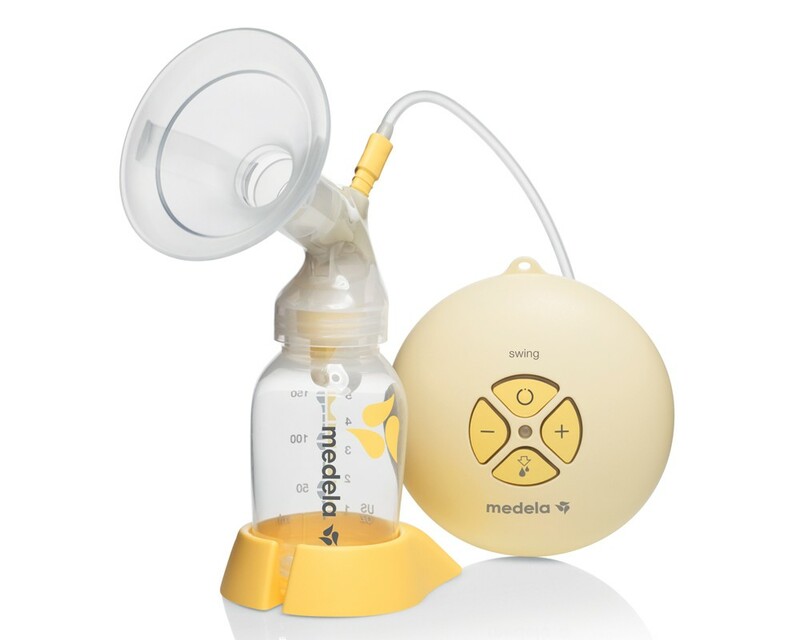 I used the Medela swing pump and it made my journey to exclusive 10 month breastfeeding easy. All the best with the selling 🙂 promised my husband to sell on ebay too but found myself giving everything out to new mums. Yup the medela swing pump was a life saver. Oh my goodness! How precious is your little guy in the MamaRoo!! My son loved his too! Pingback: Sleeping with a 4 and almost 1 year old | Call Me Mummy!! Hah! I’m just seeing this post cos you pinged back from the sleep post. The chicco is second on my list if I cannot get the snuzpod. Looks pretty cool. You’ve got me interested in the mamaroo now too. LOL! And what you said about cringing at the prices though!! Thank God for eBay, preloved and similar sites. I’m probably going to get some of these 2nd hand. The Mamaroo was heaven sent! And I sold it for more than half the price too so very happy with it! Only reason we didn’t go for second hand was I wanted to see what I was buying and no one around was selling it! Joys of living in a village! Will definitely recommend. For some reason I didn’t hear about the snuzpod until much later so it was just easier for me to get the chicco. Oh gosh!! Why am I reading about MamaRoo?!!! Does buying baby products ever stop?? ?